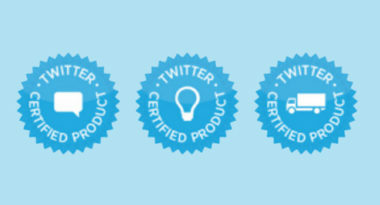 In Twitter’s quest to expand its services beyond simple social media, the social network launched a program called “Twitter Certified Products” to offer companies the tools they need to achieve greater success on Twitter. These tools are designed to help brands enhance their engagement with consumers and understanding of what people are tweeting about the brand. Techcrunch.com explained the specifics of this suite of Twitter products. The products are geared toward the three categories of engagement, analytics, and data resellers. They’ve been developed through partnerships with tech companies such as Topsy, Sprinklr, DataSift, HootSuite, SocialFlow, Gnip, and others. Twitter has emphasized that these are only its initial offerings and that the social media site eagerly anticipates collaborating with additional companies on innovative products down the line. Technology companies interested in becoming partners in this program can apply for certification, yet their offerings must meet a strict set of guidelines in order to be eligible. Their products need to increase Twitter’s usefulness to businesses or solve an unfulfilled need, as well as promote valuable engagement on the social media platform, take Twitter into new markets, and integrate easily into their current product line. In addition, the certified products need to follow Twitter’s stringent display requirements and attribution specifications. This program demonstrates Twitter’s sharp focus on evolving into more than a social media space to become a powerful presence in the digital world. To incorporate Twitter into your social media marketing strategy, contact MDG Advertising today at 561-338-7797 or visit mdgadvertising.com. MDG Advertising, a full-service Florida advertising firm with offices in Boca Raton and New York, NY, specializes in developing targeted Internet marketing solutions, exceptional creative executions and solid branding and media buying strategies that give clients a competitive advantage. Our core capabilities include branding, logo design, creative, digital marketing, print advertising, media planning and buying, TV and radio, Web design and development, email marketing, social media marketing and SEO.